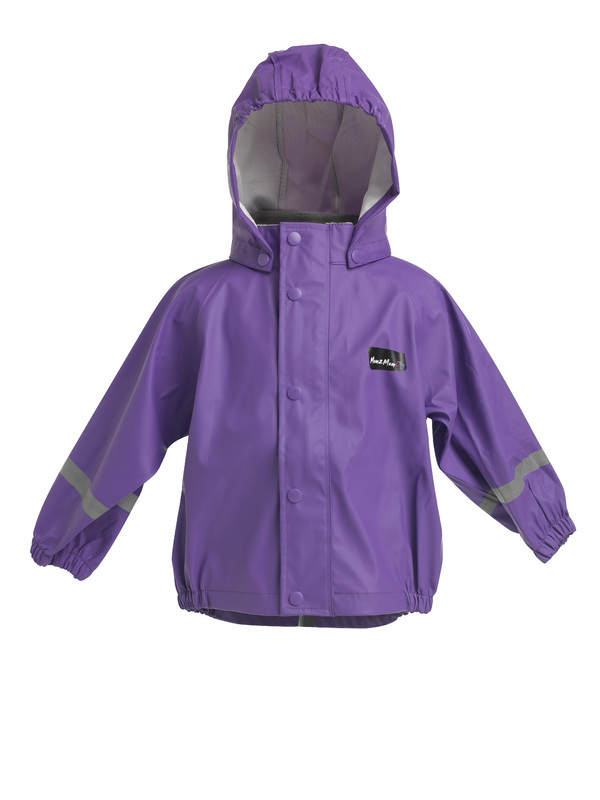 100% Waterproof Children's Rain Wear Jackets. Super soft with a breathable PU coating, fleece-lined collar, detachable hood. Mum 2 Mum rain wear is made with the latest in fabric technology, it’s soft and comfortable with a 100% waterproof, breathable PU coating, that will keep your child dry and warm at play.. All seams are welded for complete water-tightness. 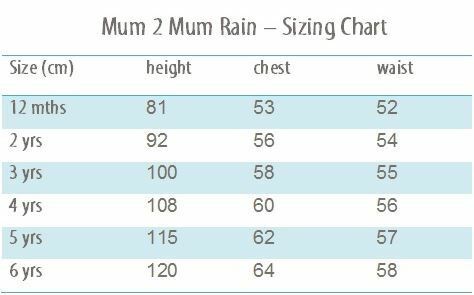 Please note that sizings run generous as Mum2Mum Rain Wear is designed to fit over your child's clothing.